Ultimately, this minor is a much-needed addition to the college, and the college should ensure that the program is fully utilized and supported in the coming semesters. Opinion Editor Meredith Burke spoke with Haefeli about the topic of the journal’s most recent issue, why she took on the editor in chief position and her plans for the journal moving forward. 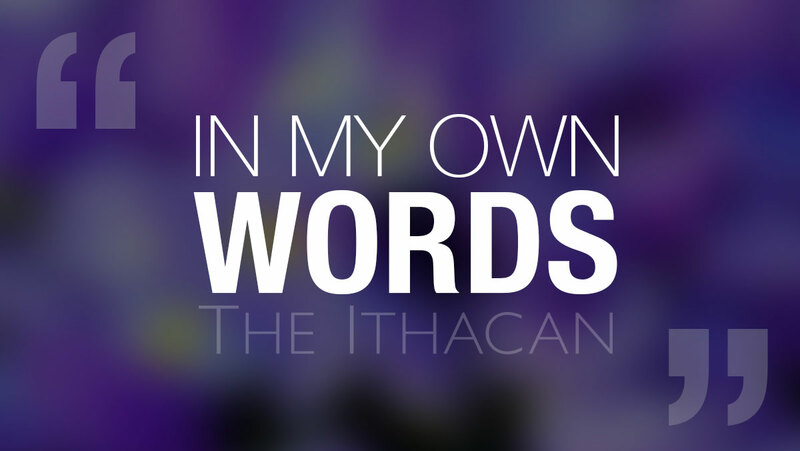 You can now listen to “In My Own Words” on Apple Podcasts, SoundCloud, Spotify and Google Podcasts! Ithaca College psychology professor Cyndy Scheibe visited Longview residents Aug. 31 to discuss media literacy and coverage of the 2016 election. Engaging with the media is a two-way street with an unspoken dialogue. Staff Writer Maura Aleardi spoke with Chris Sperry ’79, director of curriculum and staff development for Project Look Sharp, about modern education. Two Ithaca College professors overcame an extensive visa process and safety concerns in order to present on media literacy in Iran. Ithaca College students use Snapchat to share photos with their friends.